Andy shows how you can use Photoshop’s “Layer Comps” feature to mimic Fireworks’ helpful “States” functionality. It's pretty awesome. In Photoshop, do you have a difficult time finding which layers need to be visible per layout or button state? How do you know which layers work together? Huzzah – there is a simple solution! 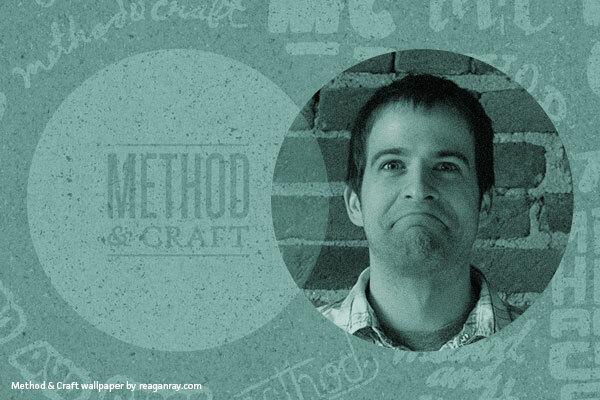 Andy loans his silky smooth voice to Method & Craft for his second feature, a screencast, on the design-oriented site. He explains how you can use Photoshop’s “Layer Comps” feature to mimic Fireworks’ helpful “States” functionality. If you use Photoshop often and are not familiar with this feature, you won’t want to miss this really helpful tutorial.